Can We Get Super Powers? We all would love to have them. Even if you don’t admit it in public, deep down you know that you would accept super powers in a heartbeat. Who wouldn’t want to be able to move things with their minds or levitate? It may sound far out, but there very well could come a day when humans acquire super powers through evolution or even some other means. It has been documented that there are people who score high on telepathy tests, showing an ability to read minds. Many of these people have had head injuries or illnesses which affect the brain. This suggests that all of our brains have potential for this skill. It is like there is a hidden switch in there somewhere that needs to be turned on. And when it is, psychic skills run rampant. Furthermore, telekinesis has also been demonstrated as well. That is, people can move things with their minds. Objects can be thrown and even fires can be started. The problem is that those who have been shown to be telekinetic have not been able to consistently control their abilities. Most people can’t control them at all at this point. Somewhere in our genes we have this secret ability. It is just waiting to be tapped. If psychic skills are nurtured instead of shunned, more people could develop their own skills and become more proficient at using them. Who knows what could be gained by including programs in schools that foster such skills as telekinesis and telepathy. I’m not even talking about schools like those featured in Harry Potter or X-Men. I am talking about public schools. I know we are a long way from such a thing. But think of how exciting such a possibility could be. If this was thoroughly accepted and fostered, then all kids could work on their natural gifts. What if with time we learn how to harness these skills? If people grow their telepathic ability and can focus to such an extent as to actually listen to a person’s complete thought pattern, how would this change the way we live? Would talking take a back seat? Would it ruin telecommunications? Could it prevent crimes from happening? After all, if you could clearly read someone’s thoughts you would be able to perceive danger before it occurs. Likewise, if telekinetic ability were perfected, this could greatly benefit the disabled. There are so many positive ways this could be used. But if telekinesis is harnessed, would it be used for good or evil? I think we all know the answer to that. So many weapons were created with good intentions, but bad people always get a hold of them and use them destructively. Would it be like X-Men? Would there be a group of good guys and bad guys who fight using psychic powers? It is exciting that the paranormal is now more widely accepted. There are many obstacles in the way, but progress is being made. So one day maybe we all will have what we currently call super powers. Only in the future, they will not be considered super powers. They will be normal, everyday occurrences. As we explore the power of the mind, I believe that possibilities are endless. This entry was posted in Paranormal and tagged deborah kauflin, paranormal, super hero, super powers, telekinesis, telepathy on May 23, 2014 by spiritdeb. This life can drain the happiness right out of you. With mini-disasters striking left and right, is it any wonder you might begin to think bad things about yourself? Your boss criticizes you. No matter how many hours you work, you can’t get everything done on time. The lover who once made you smile now only seems to harp at you. Your family can be the worst at pointing out how you are less than perfect. As many of you know, there are families who are more than willing to let you know that you haven’t lived up to their expectations. Even strangers can put you down. Posters on the internet or even people on the street can take a verbal swipe at how you look or what you’re doing. Everywhere you look, there is someone pointing out what is wrong with you! Your looks don’t measure up. Your career is not where you want it to be. Relationships fall apart around you. Family is a nightmare. Money is a problem. Nothing is the way it was supposed to be, and people are eager to let you know how you have disappointed them. After hearing this over and over, too many people, especially women, start to believe that they are somehow flawed. They buy into the constant pecking which grates on even those with the best self esteem. Slowly it gets to you, and you wither inside thinking bad thoughts about yourself. You come to think that if everyone is saying that you are a failure, it must true, right? Feeling this way can make you cringe when you look into the mirror, and this self dread can cast a shadow onto everything in your life. Do you feel like you fail every day? As hard as you work, do you seem to get nowhere? Is it common for almost everything to go wrong? You may be fighting to keep your head above water, but all you hear is criticism from others. Can you relate to this? If so, you are in a danger zone. What happens is that after a while, you begin to hear that criticism from yourself. You adopt it as your own. This little voice inside haunts you, telling you that you are not good enough, that you are a failure. The more people who pile on you, the worse you feel. You feel like there is something wrong with you and may even find yourself apologizing for not being good enough. You’re sorry that you can’t lose that weight. You failed. You’re sorry that your spouse had an affair. You failed. You’re sorry that you haven’t been able to do better at work. You failed. You’re sorry that your children have done something wrong. You failed. You’re sorry that you are sick and are not doing enough for your family. You failed. You’re sorry that you married a man who hit you. You failed. You’re sorry that you can’t find a job. You failed. This is what can happen when you allow others’ negativity to affect how you see yourself. There are a lot of demands on you. It is no wonder that you can’t get everything done perfectly. Who is superman or superwoman? The answer is no one. There is not one person on the planet that satisfies everyone. It is not possible. So allowing others to make you feel badly is something you want to avoid. The danger of allowing it to make you sick is too great. Not only that, but if you think you are failure, the cycle will repeat itself. If you have an abusive parent or spouse, have you noticed when they criticize, you get nervous and become more likely to mess up? If your boss is difficult, you tend to be clumsy and make mistakes. Of course this gives people ammunition to criticize you more, and you see yourself as they see you. Failure. Failure. Failure. That is all you hear and all you think. When you accept such nonsense, you give your control away. This will make you feel even worse. In short, it will break you. No matter how many people tell you that you don’t measure up, don’t let that color how you see yourself. If you make mistakes, then you make mistakes. That does not mean that you are anything less than wonderful. You are not a failure. If you had a job that didn’t work out, then it was a learning experience. The same goes for a relationship that ended. Don’t look at yourself as a failure if you have been divorced. You simply had a relationship that was wrong for you. You learned what not to do! All of those experiences (not failures) have taught you valuable lessons. If you stay in the negativity and let it define you, then you have been defined by something other than you. You need to define you. This is the only way you will find happiness. Define the true you and don’t let anyone treat you in a way that makes you feel worthless. Think of all the good things that you have done, and let those good thoughts fill your heart. Next time you catch yourself having negative self thoughts, I want you to say the word ‘stop’ in your mind and remember that you are a beautiful person who deserves better than being called a failure. YOU DESERVE BETTER. Remember that. If you are reading this article, it tells me that deep down you know you are not a failure. All you need is a little reminder that you are someone that matters. Because you need this reminder, you should treat yourself to something that brings a smile to your face. It doesn’t have to cost any money. Little things like taking a walk or soaking in a long bath can make you happy. Just make sure that you do something for yourself as a reminder of the joy you need to bring into your life. The more you realize that you are all right, the more you will be able to do to change your life. Never apologize for not being good enough because you are a person with value. This entry was posted in Paranormal and tagged deborah kauflin, self esteem, self help, self improvement, spirituality on May 22, 2014 by spiritdeb. Are Psychics Really Talking to Aliens? The paranormal field has gone from obscurity to main stream. This is a wonderful thing because the topic is fascinating. Who wouldn’t want to know if we go on in another form after we die? Wouldn’t it be jaw dropping to have proof that aliens are among us? For twenty years I worked as a criminal profiler for police. I worked so many serial murder cases for law enforcement, and I am famous for my accurate profiles. What I didn’t tell people is that I am a psychic medium. In more recent years, people like me have come forward, to tell the truth. And the truth is that there is something very real about the paranormal field. 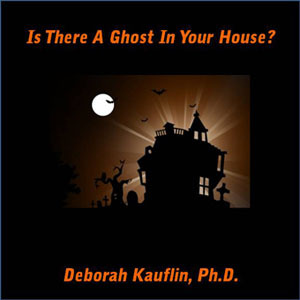 There is a lot of eyewitness testimony regarding ghosts, spirits, and aliens. And even though skeptics pooh-pooh it, eyewitness testimony is admitted in courts of law. How do you brush off reports which date back thousands of years? How can you realistically ignore well documented cases involving paranormal activity? Though surely some people are fakes, not everyone is a liar. Many professional and rational people have had paranormal experiences. They want answers not scorn. The longer the paranormal is looked at with disdain, the longer it will take to unlock the mysteries that wait for us. Though I know that when you hear about ghosts or aliens that you may automatically scoff, you should take a step back and truly examine paranormal happenings around the world. Every culture has reported them. Children who have had no education claim to have seen aliens and ghosts. Some children have knowledge from past lives, knowledge that they had no possible way of faking. These things do exist. When I was talking with some other psychics recently, we spoke about the possibility that some mediumship contacts are actually made with aliens. To some this may seem farfetched. However, when you look at all the evidence for alien contact, it is not farfetched at all. Reports suggest aliens use telepathy to communicate. If that is true, then it would only make sense that any alien entity who wanted to communicate would try to speak to mediums. After all, if mediums have greater telepathic ability than the general population, it would follow that alien entities would attempt contact with them. It was interesting because though every psychic that I spoke with agreed that it certainly was possible, none wanted to come forward to admit it! A lot of people are comfortable with the idea that spirits are around us, but they fear alien contact. Physicists propose that there are multi-universes and dimensions. It is simply beyond belief to suggest that we as humans are the only ‘intelligent’ life forms. In fact, that concept is laughable. Really, one can make a good argument that humans aren’t all that intelligent. Just take a look around at the backwards and barbaric things that happen every day, and the idea of intelligence flies out the window. So you have to ask the question: could psychics be talking with aliens when they do readings? When psychics get information, could some of it come from alien beings? I believe that this does happen. There are too many cases from credible sources to dismiss. I do believe that with time we will solve the puzzle of the paranormal. People need to come forward with their experiences. And if you are someone who is interested in this topic, then don’t be embarrassed! It is worth studying and has potential to have a huge impact on this world. If you have come into contact with something like this, let me know. I’d love to hear from you! This entry was posted in Paranormal and tagged aliens, deborah kauflin, government cover up, psychic, UFO on May 10, 2014 by spiritdeb.